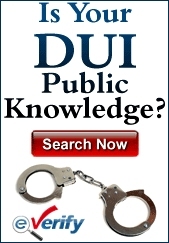 In New Jersey, most people associate operating a vehicle under the influence with a DWI in a motor vehicle. Some might realize that it can happen with a boat as well. Few even consider the possibility of a drunk operator emerging from the sky, but it’s very possible if a pilot flies under the influence. Given the times we live in, the scrutiny aircraft and aircraft operators are under, FUI is a serious act that can influence many lives. In addition, a person who is a pilot and is caught and convicted of a DWI will not only face the penalties for the DWI, but will also have his or her pilot’s license affected. The penalties for a DWI include a driver’s license suspension, surcharges, fines and other financial penalties. There could be jail time as well. 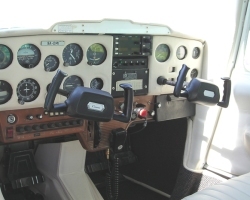 Pilots are rightfully held to a higher standard than others because of the sheer nature of flying a plane and the number of people who could be placed in jeopardy if a person chooses to fly while drunk or under the influence of drugs. Any person who is a member of a crew for a commercial or a private aircraft operates under the auspices of the Federal Aviation Administration. The FAA has rules that dictate a person responsible for the operation of an aircraft cannot be under the influence of alcohol or drugs that could lead to them failing a sobriety test. The pilot will be charged with FUI if the BAC registers 0.04% or above or alcohol or drugs have been taken within eight hours of flying. Much like the penalties for a DWI, the pilot convicted of FUI will face fines, penalties, the suspension of flying privileges, jail and the potential for job loss. Pilots are working under the law of implied consent just like drivers are. What this means is that when they are asked to submit to a breathalyzer test to determine their blood alcohol content, they must do so under threat of punishments similar to what there would be if there was a conviction for FUI. This is in effect even if the pilot has not had anything to drink or would have been under the legal limit of 0.04%. The pilots license will be suspended and there are fines associated with a refusal. The penalties for a pilot who is charged with DWI are not limited to what would be faced by a normal driver who is not also a pilot. DWI penalties for a first offense with a BAC of 0.08% include a fine of $250 to $400, up to 30 days in jail, the requirement to pay $1,000 per year in surcharges for three years, $230 to the Intoxicated Driver Resource Center (IDRC), $100 each to the drunk driving fund and the Alcohol Education and Rehabilitation Fund (AERF), $75 to the Neighborhood Services Fund and a driver’s license suspension of three months. For a pilot who is convicted of a DWI on New Jersey’s roads, there is the requirement that the Civilian Air Security Division be alerted of this occurrence. The FAA must be told as well when the first class medical application is filed. The pilot has 60 days from the date of the conviction to inform these agencies about it. If they fail to do so, there is the possibility that there will be probation and other penalties. If a pilot has the license suspended two times in three years, it is possible that the application for renewal of the pilot’s license will be rejected. If the pilot has a license, it is possible that it will be revoked. Pilots who are using their license to work for an airline or privately will soon realize how severe the penalties for FUI are in New Jersey once they’re unable to fly. Whether it’s due to a DWI of FUI, those who are caught and convicted of these acts or of refusal will face harsh punishments that can negatively affect their livelihoods and future employment. Given the world today and how pilots are watched closely, committing a FUI is a major mistake with long-ranging consequences.